As a Muslim, there are certain dietary requirements that you have to follow. In fact, Islam ordains to its believers to follow certain rules when it comes to eating. Thus, he distinguishes between good food and drink that are permissible to eat (halal) and bad food and drink that are illicit to eat (haram). Illicit (haram) food and drink include meat of swine, dead meat, the meat of non slaughtered animals, alcohol and blood among others. Likewise, halal supplements should not contain swine and non ritually slaughtered animal derivatives, blood, and alcohol in any form. Of course, not every Muslim strictly follows the Halal diet – but the majority does as there is a growing desire among young Muslims to consume halal and follow the precepts of Islam. There are even some non-Muslims who do follow it in a new surge of popularity. UK newspaper the Guardian has put the boost in Halal sales down to a new generation of Muslims creating demand; and a growing public distrust in native Butchers. This expanding population of young Muslims has leaked into other areas and is starting to have an effect… particularly in health and fitness. Supplements manufacturers have sniffed the opportunity and have started to enter a market estimated to reach $279 billion by 2021. What to Look for in Halal Supplements? This discussion thread gives some good examples of what makes certain supplements Haram (the opposite of Halal). In short; most of these supplements contain things like Gelatin, made from animal bones… which animal exactly is not a certainty. If one ingredient within a product is not Halal then the whole product is not Halal. Some products might contain alcohol or other animal derivatives – all because manufacturers want cheap ways to produce. So, if you happen to be a Muslim and an Athlete, you are inevitably going to have to be very careful about which substances you take to boost your strength. 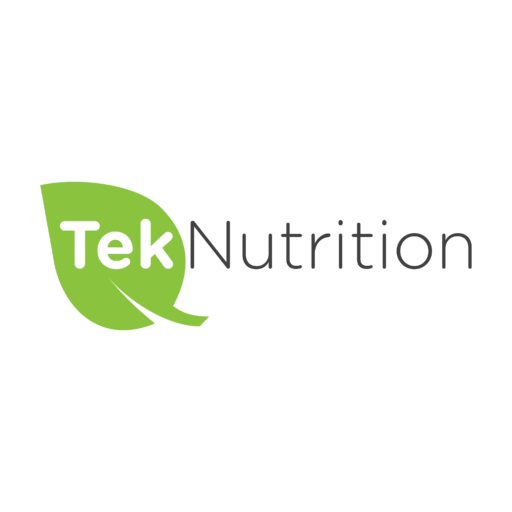 This certification ensures that the supplements have undergone get regular inspections to ensure the procedure is followed. You can also check the label for a GMP stamp – that’s a “Good Manufacturing Process” certification. To learn more about Halal vitamins and multivitamins, check out this post about Halal vitamins and multivitamins. In general, you want to look for the words “100% alcohol-free”. You also want to make sure there are no pork derivatives in the supplements. Fortunately, there is a growing number of brands offering Halal supplements and you can buy things like Halal whey protein, Halal Protein bars and Halal Gainers, all with official certification. Whey Protein is made by curdling milk and should be safe, the problem is that most manufacturers will use a microbial substance called Rennin (or Rennet) which is derived from animals. Most of those who produce it will swear that it does not contain Pig matter, but without proper certification, you cannot be sure. Look for the Halal Certification on the label and ensure it’s from a credible organism. Also, consider vegan protein powders as they use vegetable Rennet when you can’t find Halal Whey Protein. If you’re looking for Halal Whey Protein brands, make sure to read this review. Amino Acids include BCAA, Creatine, Glutamine, and beta-alanine. The one you want to be careful of is Bcaa which is produced from duck feathers, hog hair, human hair and pig fur. The other three are synthetically produced and thus Halal. However, you can still buy Halal versions of these Amino Acids. A great resource to use is the Muslim Consumer Group, who can suggest supplements and tell you whether or not an ingredient is Halal. Just be aware that capsules tend to contain pork gelatin, so even though the ingredients might be safe, the actual capsule itself might not be. Look for plant-based capsules and remember that most Vegan Amino Acids will also be Halal. Our BCAAs, Glutamine, and Beta-Alanine reviews can help you choose the right Halal amino acids for your needs. Fat Burners uses stimulants ingredients such as acids and herbs to help the body lose fat by using its store of fat as a source of energy. When choosing Fat Burner in powder form be careful about flavored fat burners, as they are more likely to contain alcohol. For Fat Burners that come in capsule form make sure whether those capsules are vegetal or made from animal gelatin. Vegan Fat Burners are also acceptable as they are free of animal extracts. Gainers, as their name may suggest, are supplements used to gain weight. As such they contain high-calorie doses of carbohydrates, protein, and fats. As for Fat Burners, Halal Gainers must be free of pork derivatives and alcohol. You can buy it from Halal Sports Nutrition Hi-Cal Mass Gainer, who cite it as one of the cleanest ways to gain bulk. Again, Vegan Gainers can also be used instead. Omega 3 and Fish oil all come from fish, and since there is no blood or pork involved, the fish oil itself tends to be Halal. You can buy and safely consume vegetable sourced capsules or Vegan-friendly omega-3 capsules, as these will contain no Gelatin. These are the easiest on our list to get hold of, and you can buy them from these brands. To conclude then, there is a market for Halal Supplements but it is in the process of expanding. It was not so long ago that a person might laugh at you for refusing bacon, but the world is changing. We can expect to see many more Halal friendly products on our shelves soon. So if you can’t find an alternative to your chosen supplement just yet, we wholeheartedly believe that it will only be a matter of time before you can. Now it’s your turn. Do you use Halal supplements or regular ones? What are you favorite Halal brands? Feel free to share your thoughts and your best Halal supplements in the comment section below. If you find this article helpful or interesting, please give it a like or a share and help me spread the word. JazakAllahul khair, I have been desperately searching a site related to halal supplements. I would like to know about the real and easy way to get halal supplements especially whey protein,creatine,beta Alanine and bcaa supplements. Kindly guide me and people like me telling the easiest way. Justbrowse this very website and you’ll find many Halal-certified brands as well as others (vegetarian/vegan) brands that are suited form Muslims. previous post: Is Whey Protein Halal?